Here’s a challenge for you: can you name six children’s authors, six children’s poets and six children’s illustrators? If you’re struggling with this task then you are not alone. Teachers were asked this question as part of the ‘Teachers as Readers Research Project’ and were found to have a limited repertoire of responses. 744 of the 1200 teachers surveyed named Roald Dahl as an author, 165 named him as a poet and the most commonly named illustrator was Quentin Blake (who is best known for his collaborations with Dahl). These results highlight a problem which has been termed a ‘Dahl-Dependency’ by Professor Teresa Cremin. Why is this ‘Dahl-Dependency’ a problem? Roald Dahl is a well-loved children’s author whose books have excited children and captured their imaginations for decades. There is nothing wrong with teachers and parents endorsing and celebrating the authors, like Dahl, who they read and loved themselves as children. The problem arises when this cycle limits the repertoire of children’s literature that we are exposing our children to. There is a huge diversity of talented authors out there and we are doing a disservice to our children not to introduce them to a whole range of stories. When Sam gets bored by her pet hamster, she starts to imagine all kinds of possible pets. With great illustrations, this is a fun introduction to mythological creatures. Recommended for: ages 3–7, especially fans of science fiction, robots, and outer space. 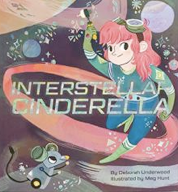 Interstellar Cinderella is a retelling of the classic fairy tale with added robots and rocket ships. Interstellar Cinderella is a heroine that young children, especially girls interested in science, can look up to. 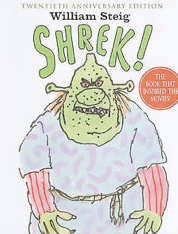 If you haven’t read William Steig’s Shrek, you should. It is fantastic, and the humour and the narrative voice are much more subtle and interesting than in the film! 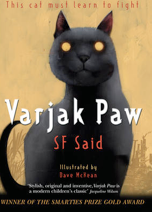 A wonderfully original story about a street cat who must learn a secret martial art in order to survive in a city full of dangerous dogs, cat gangs and, strangest of all the mysterious Vanishings. This workbook explains anxiety to children using analogies they can understand and helps them develop techniques to fight it. 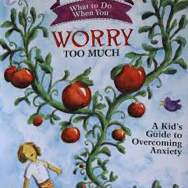 One of the best books out there to help kids with worry and fear—and it works for grown-ups, too. Below are some useful resources when searching for new, different and high quality children’s literature. An independent British literacy charity that aims to transform lives by getting children and families reading. They have several reading lists on their website which are broken down by age category. The National Council of Teachers of English is a professional organisation, based in the US which is dedicated to improving the teaching and learning of English. They have several blogs on their website with great recommendations for children’s literature. Stonewall is a registered UK charity and largest LGBT rights organisation in Europe. They have a list for both Primary and Secondary schools of inclusive and age-appropriate books that celebrate diversity, challenge gender stereotypes and talk about relationships and different families. Many of u2’s Oxbridge-educated mentors are also qualified teachers specialising in Primary Education and are well-placed to offer reading guidance and English mentoring support. Enquire below for more details.